By Evil Penevil, April 22, 2016 in Dining Out? I recently read elsewhere that if you pay under 300 baht for a Western meal in Pattaya, you get garbage. I consider that statement both unfair and uninformed. 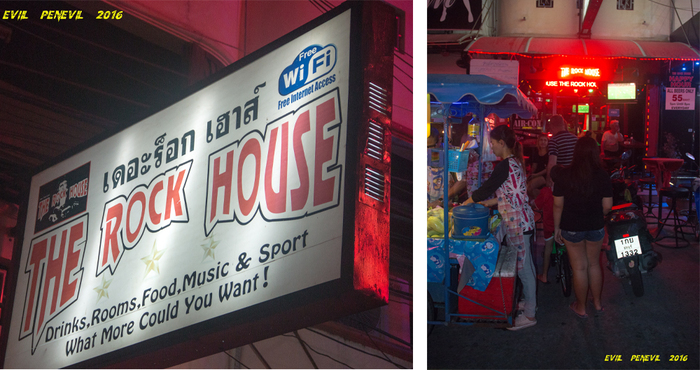 There are dozens of restaurants, probably several hundred, where you can enjoy good Western food under 300 baht. But rather than get involved in a meaningless exchange of opinions, I'm going to put my money, my camera and most importantly, my mouth, where my mouth is. I'll give examples of restaurants where it is possible to have a good Western meal for under 300 baht. But first, a couple of points of order. Since I'm responding to a statement about Western food, that would by definition exclude Thai, Indian and other Asian food. This thread isn't about where you can fill your belly for the least amount of money, but specifically about where you can get good Western food under 300 baht. Also, it doesn't have to be the best food you've ever eaten, especially in comparison to what is available in the West. It should be good, as opposed to mediocre or bad, but not necessarily a peak culinary experience. The biggest test for me is, will I go back and order the same dish again? If I do, then the meal has been good. I'll start off with some options on LK Metro, with the Rockhouse first up. It recently restarted its food service and the most expensive item on the menu goes for 250 baht. For the most part, it's traditional British pub-style food, although there are a few Thai dishes on the menu. 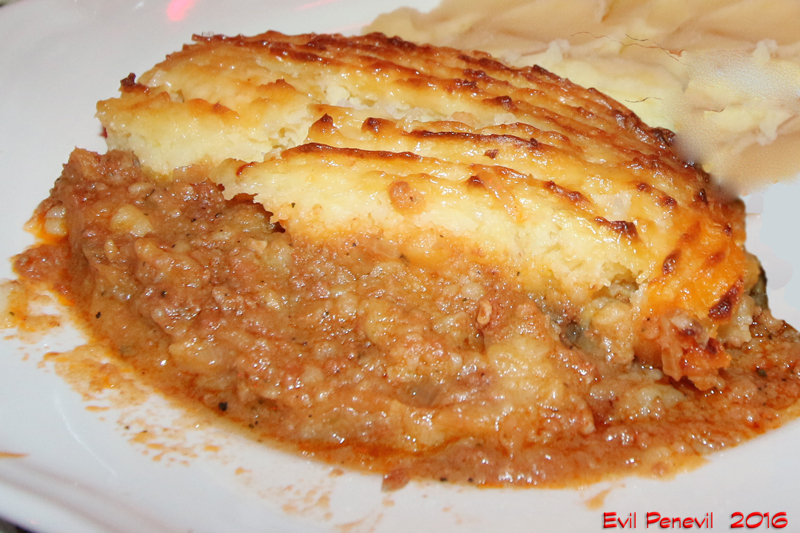 I decided to try the lamb shepherd's pie at 250 baht. It came with peas or beans and either mashed potatoes or chips and gravy. 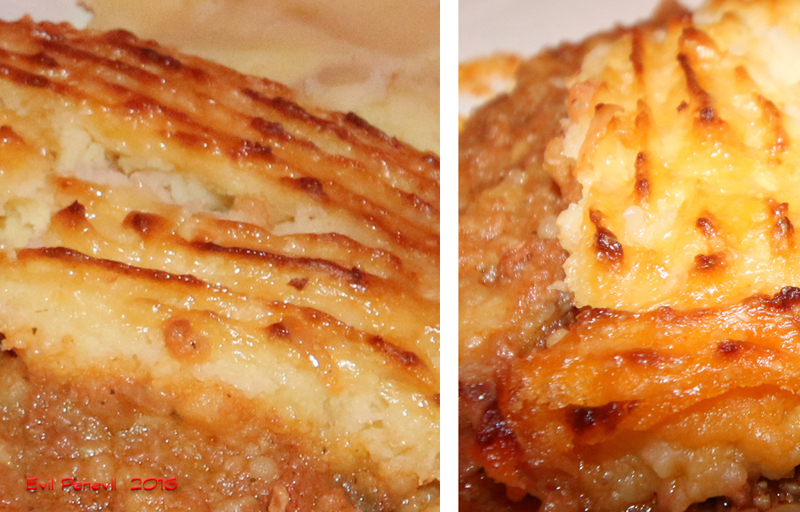 Unfortunately, my "full-plate" pics didn't turn out well, but the close-ups of the shepherd's pie were OK. It was a good-sized portion. The meat mixture had a good lamb flavor and was well seasoned, while the mash potato topping had been cooked to a golden brown. I'll be back to try other dishes from the Rockhouse menu. The first time round, the food served at the RH had been very good. It was British comfort food as it should be done. And it appears the RH is off to a good start this time, too. 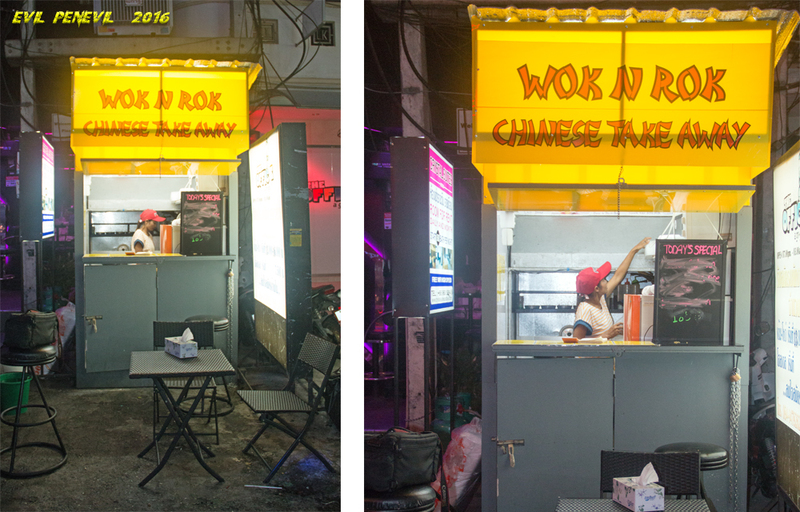 Another option on LK Metro is the Wok N Rok take-away stand in front of the Office A Go Go. 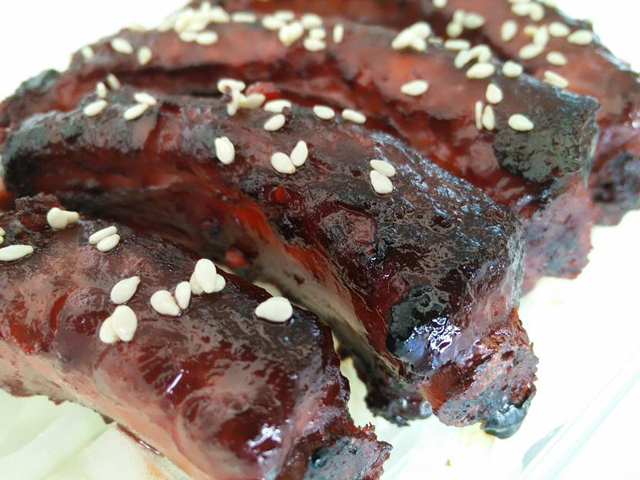 It serves the same U.K.-style Chinese food as in the former Wok N Rok Restaurant on Soi Bukhao. The kiosk is open from 6 p.m. until "late." And before anyone objects, I consider the food it serves to be Western because U.K.-style Chinese is quite different to the food you'd get in a restaurant in China. 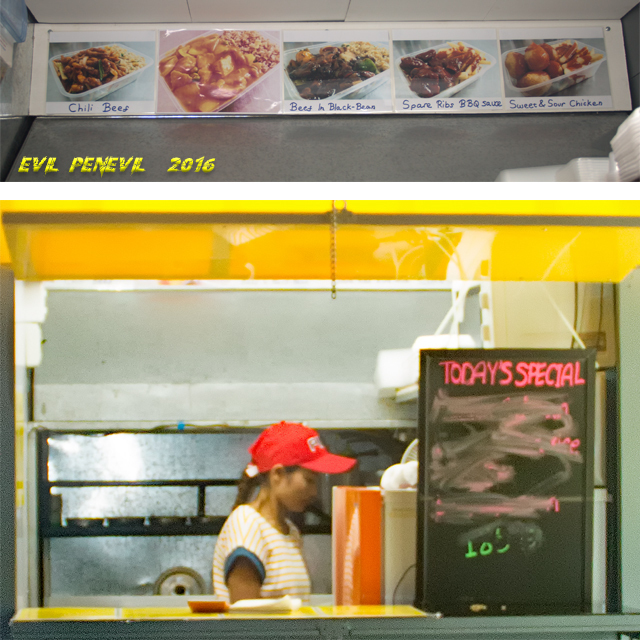 It has an extensive menu, with most of Chinese-style favorites Westerners will recognize from their neighborhood take-aways back home. There are a few Indian dishes on the menu as well. The dishes range in price from 149 back to under 250 baht for some of the two-dish specials. I've lifted a few of the pics from the Wok N Rok thread to give an idea of what's on offer. If you enjoy U.K.-style Chinese food, the Wok N Rok does it better than any restaurant in Pattaya. 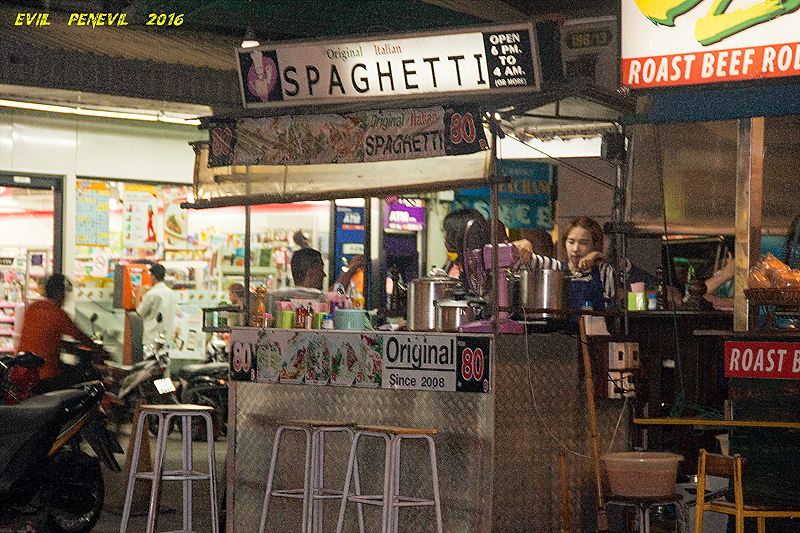 Late Thursday night (actually very early Friday morning) I stopped for my weekly pasta fix at the spaghetti stand on the corner of Soi Diana and Soi Bukhao. The stand was doing a landslide business, although most customers were eating in the bar behind the stand. I counted ten plates that went out before the girl got to my takeaway order. Perhaps a bar crawl had decided spaghetti was needed to soak up the booze. 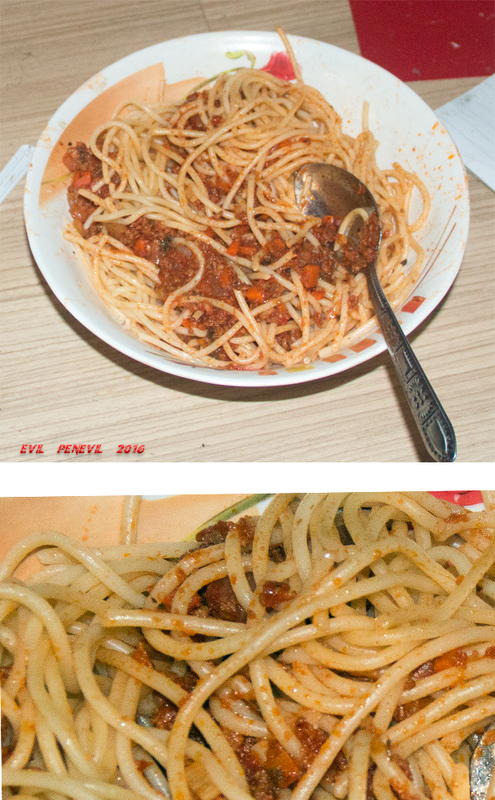 This is what my spaghetti Bolognese looked like after I got it home. Nothing fancy about it, but a good-sized portion and good taste for 105 baht. It's better spaghetti than you get in some restaurants. More suggestions will come in the next post. 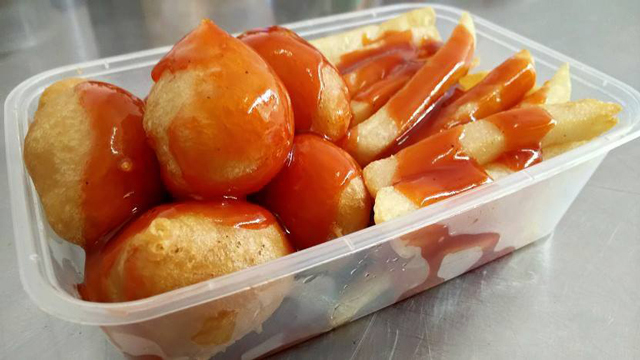 Just a reminder that the purpose of this thread is to list examples of restaurants in Pattaya where you can get good Western food under 300 baht. It wouldn't always include a detailed review, especially if I've recently posted about that restaurant in another thread. I may also give information about a restaurant where I've never eaten, but others have said it's good. The Deli Diner, which I recently reviewed in this section, has a four-course(!) set menu (salad, soup, main, dessert) for 299 baht. Fantastic value for money. 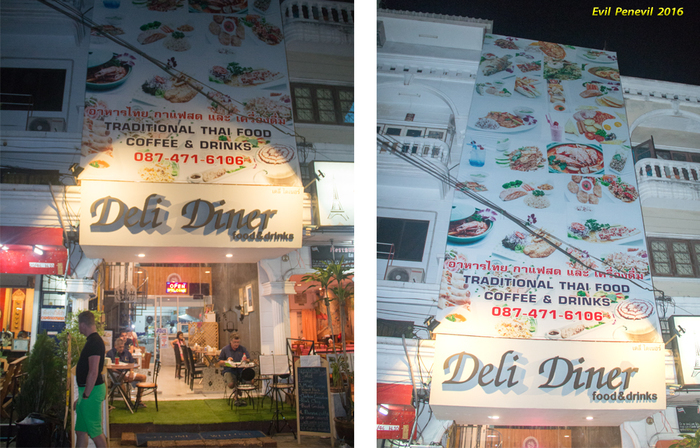 There's a lot on the Deli Diner's menu under 200 baht. One response on another board suggested Restaurant Le Freelax near the Buffalo Bar. 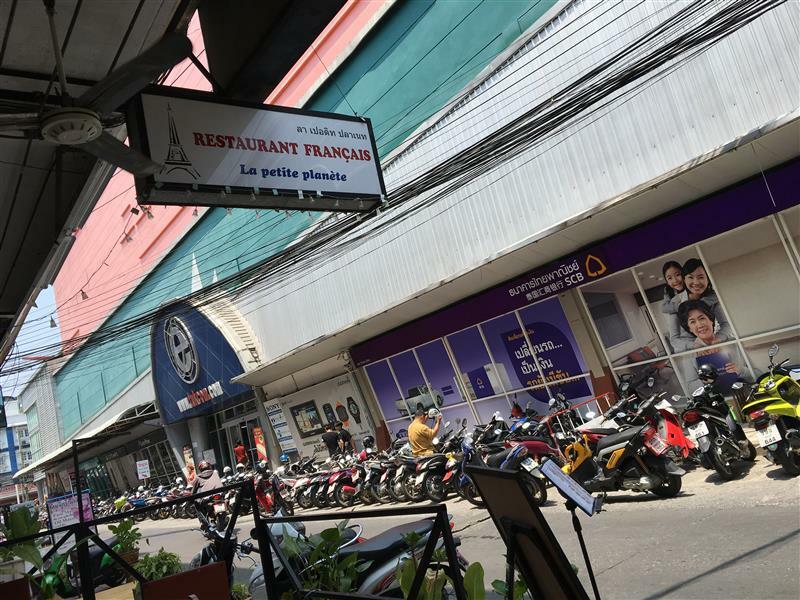 I'd never heard of it, but it's a small French restaurant that has a four-course set menu for around 220 (or maybe 250) baht. I plan on visiting it soon. Every Day is Fry Day is a popular restaurant in New Plaza for fish and chips as well other British comfort food. Just about everything on the menu is under 200 baht. My personal favorite is the minced beef on mashed potatoes for 130 baht. In the same vicinity, on Soi 7, you can eat well under 300 baht at O La La Restaurant. Last night I had half a roast chicken with fries for 195 baht. The price hasn't changed since the above pic was taken in 2014, but the price of the weiner schnitzel has gone up to 175 baht. It was a nicely roasted half chicken that was very moist inside. I just wish it had come with stuffing instead of fries. The sauce (it wasn't thickened gravy) seemed to be the chicken juices and drippings enhanced with herbs. It carried a lot of flavor. Harry's Bar & Restaurant (on Soi Diana between Soi Bukhao and LK Metro) specializes in Swedish husmanskost (home cooking). Some of the dishes may not be familiar to non-Scandinavians, but all that I have had were tasty. There are a lot of dishes on the menu under 300 baht. A Swedish classic: meatballs with mashed potatoes and lingonberry (similar to cranberry) sauce and dill pickle slices for 195 baht. Fried pork belly on a potato pancake, also with lingonberry sauce and for 195 baht. Harry's also has Swedish mustard, which went well with the pork. Cafe Pitini on Soi Bukhao is another option for good meals under 300 baht. 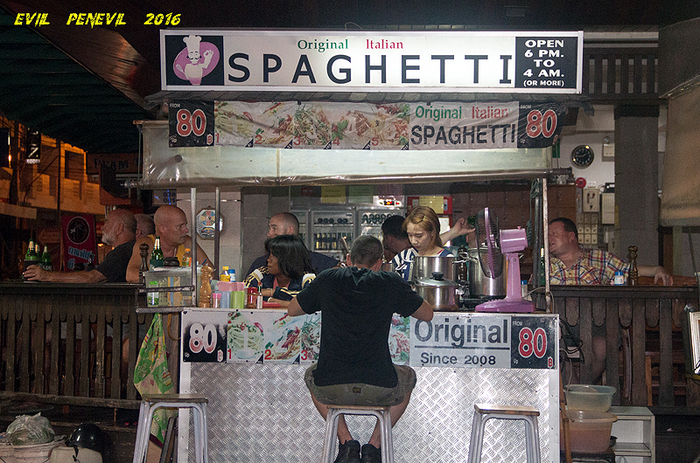 I can't remember exactly how much the spaghetti bolognese cost, but it was well under 300 baht. The dish of grated parmesan was a nice touch. 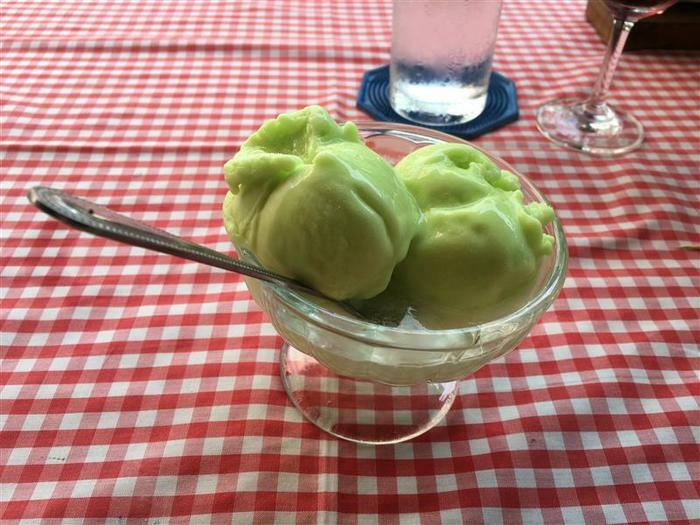 The Songkran water tossing kept me indoors more than usual, so I was thinking of making a list of the good "under 300 baht" Western restaurants. Howver, the list of restaurants where you can eat farang food that costs less than 300 baht and isn't garbage would run to at least 95% of all restaurants in Pattaya that serve Western food. The qualifier "good" could narrow the list considerably, but there will always be disagreement over what's good and what isn't. In addition to the suggestions of specific restaurants - and that's been very helpful for me-, the main point to take away from this thread is that there are hundreds of restaurants in Pattaya that offer Western food and where you can eat well for less than 300 baht. The choice is broad and spans many types of Western cuisine: French, British, Italian, American, Australian, Mexican, German, Dutch, Scandinavian, etc. With both women and food, the options are almost limitless in Pattaya. 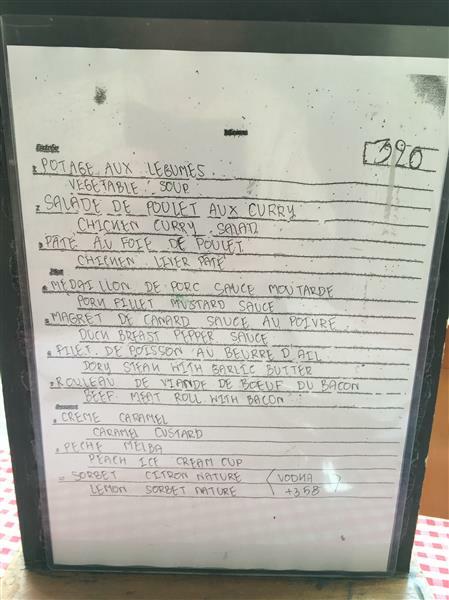 What's undeniably garbage is the statement that Western meals under 300 baht are garbage. Sizzler, in Central Festival and Royal Garden, is a corporate chain steak house that some like and others hate. But it most certainly meets the definition of this thread and is a suitable addition to it. Soup, pasta, salad (unlimited); main course; and dessert (also unlimited, but Sizzler's desserts are weak) can be had for under 300 baht. However you slice it and dice it, it's one of the best value-for-money offers in town considering the quality of Sizzler's salad bar. These pics are a couple of years old but they are still representative as things don't change much at Sizzler. If anything, the salad bar has been expanded with more options. Because the salad bar is the highlight of Sizzler and diner's tend to eat a lot from it, it's often possible for two people to split a main course, hence remaining under 300 baht per person. Santa Fe Steak is a Thai restaurant chain with branches all over the country. Despite its name, beef plays a rather subordinate role on its menu. Santa Fe Pork or Santa Fe Chop would be more accurate. In addition to beef and pork, it offers chicken, fish and pasta, all at very moderate prices. It's certainly possible to tuck away a fair amount of food at Santa Fe for 300 baht or less, as the mains, including the specials, come with complimentary soup and salad. Some of the specials also include a beverage, so the customer is getting a three-course meal and (non-alcoholic) drink for under 300 baht or even 200 baht. I had lunch at Santa Fe Steak on the 6th floor of Central Festival on April 19, the big day for Songkran festivities on Beach Road. I broke up my photo excursion into the climactic hours of water-tossing madness by ducking into "Centan" around 1 pm to wash the white paste off my face; get some relief from the heat and sun; and have a bite to eat. Thanks to my quick-dry clothing and the effect of standing a few minutes in the intense sunlight, I was mostly dry at that point. I decided to eat at Santa Fe Steak mainly because I'd never been there before. It was a relatively small restaurant that was about half-full. It was very clean and tidy. I was the only farang diner. I assumed the name "Santa Fe" was used due to the Santa Fe Railway's association with the beef industry of the 1800's. The railroad's full name, the Atchison, Topeka and Santa Fe Railway, wouldn't have been as catchy. I chose the "imported ribeye steak" at 239 baht. I chose to drink a bottle of Heineken, but if I'd had ice tea at 24 baht, I'd have come well under 300 baht. sides of salad and (corn) soup. They weren't bad, just meaningless. The gravy or brown sauce looked so horribly gelatinous I didn't even taste it. I had ordered the steak medium rare and that's how it came. The steak was tender, but not very flavorful for rib eye. I can imagine it was imported U.S. beef, although of the "Select" or "Choice -" grade. It's roughly the same grad of meat used in some U.S. chains. Nothing wrong with that. I had no trouble finishing the steak. The rest of the meal was a bit of a disappointment, but for the price, there's no reason to complain. This isn't a full review of Santa Fe Steak as I've only had one meal there. I've read and heard there's better value for money to be had by taking one of the pork, fish or pasta specials. There's no problem in eating under 300 baht at Santa Fe Steak. The "good" rating is a bit more difficult. If we only have two categories, good and bad, there's no question it would be good because it's not bad. But if we get more sophisticated and imagine three ratings - good, acceptable and bad - then the weakness of the sides would pull it down to the acceptable category. A little trivia. You have to love how Google translates one of the sentences from Santa Fe Steak's Web site: "Elephant soft aroma were still taste the steak like no other." That's a blurb I couldn't resist. If I may be allowed to stretch the limit by 20 Baht, La Petite Planete by Tukcom has a daily three course special at 320 Baht. The fact that it's three courses actually makes it better value than some of the above. 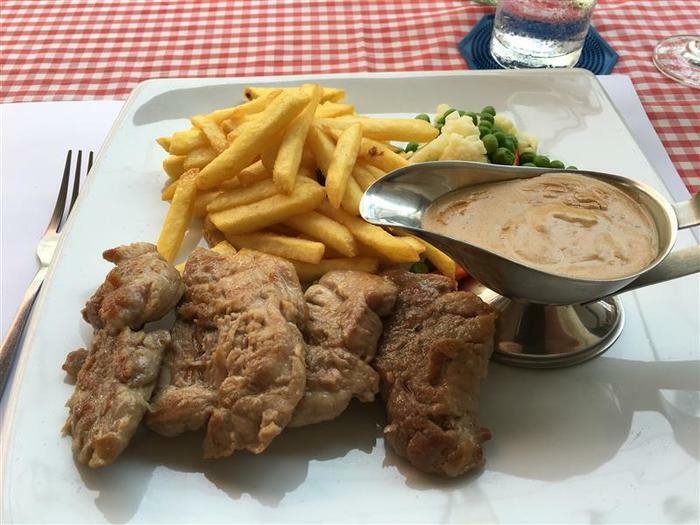 The Pork in Mustard Sauce with Fries as the main. I also had two glasses of red wine, and two bottles of water, as the day was hot as feck and I had walked there, but on top of the 320 Baht for the meal, my total bill ran out at 575 Baht, incredibly good value methinks. 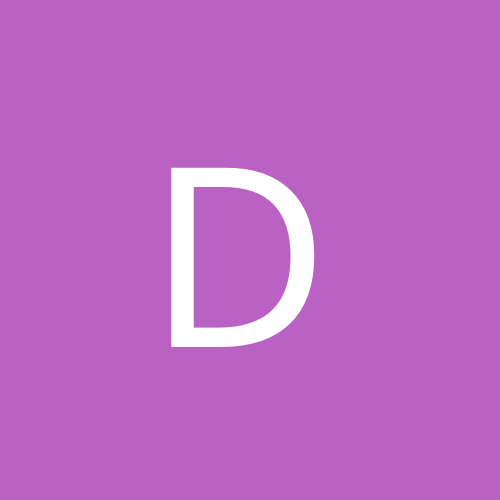 Great reports EP. Must admit I really don't rate Santa Fe as even acceptable but appreciate tastes differ. MM, that 3 course looks good but I'm sorry to say the gayness of the place would stop me eating there. Indeed, perhaps best to get a table looking inwards rather than outwards. good thread evil and one that could run and run . many many restaurants in pattaya serving good food at well under the 300 b price range per plate . as you said the most expensive item on the menu currently is only 250 b with the vast majority of the meals at under 200 b .
we do as you said previously , offer pretty much traditional british style pub grub and thai food . our idea is to give you the customer good quality , well cooked , tasty food at a great price and that's what we are doing . we are just about to start a daily special menu and are offering a certain meal each day at pretty much cost price . 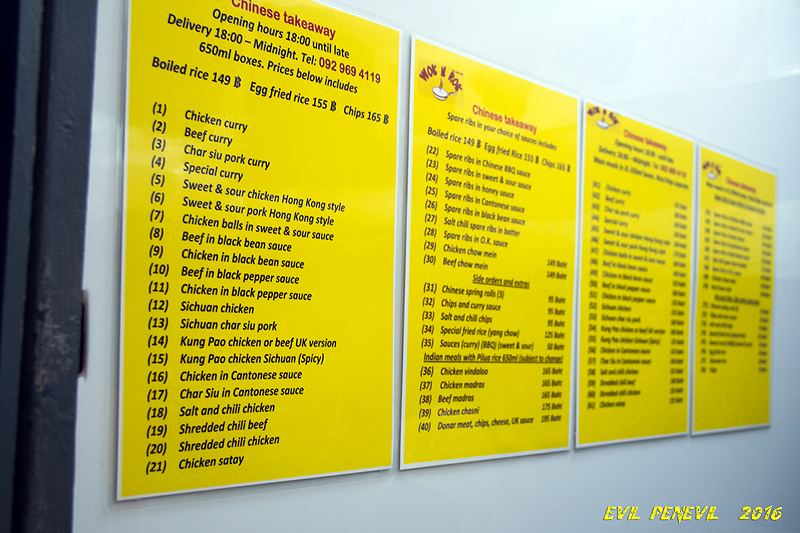 quality western food at very affordable prices . Introducing daily specials at the rockhouse soi lk metro . Mondays . 2 fried eggs , steak fries and baked beans . only 110 b .
Tuesday. Beef burger and steak fries . only 140 b .
Wednesday . chilli con carne with boiled rice . only 140 b .
Thursday . fish n chips . only 120 b .
Friday . all day breakfast . only 130 b .
Saturday . chicken in cashew nuts with steamed rice . only 120 b .
Sunday . assorted pies with steak fries and baked beans . only 150 b . Add to that our magnificent happy hour every day from 5 pm to 8 pm with all beers including Heineken and San Miguel light at only 55 b , sangsom at only 40 b , house whiskey , vodka and gin at only 70 b and doubles at an outstanding 110 b .
yeah almost for free . In the past, I've stayed in that area a number of times at the Mosaik Apartments, which is only a few doors away from La Petite Planete. On one occasion, I stayed two months at Mosaik. Never once was I hassled by any gay guy or ladyboy and I came back at all times of the day and night. In fact, I've seen more blatant and open gayness in New York, London, San Francisco, Los Angeles, just about any big city, than that part of Pattaya. It's true in the area around Tukcom you will see older farang walking around or eating with younger Thai guys, but that was about the extent of it. I never saw or experienced any random street-level soliciting. The gay bars are located mostly around Sunee Plaza, which is not in the immediate vicinity. I was hassled more by gays when I lived in Jomtien and even then it was no huge problem. I just said "No, not interested," and that was the end of it. 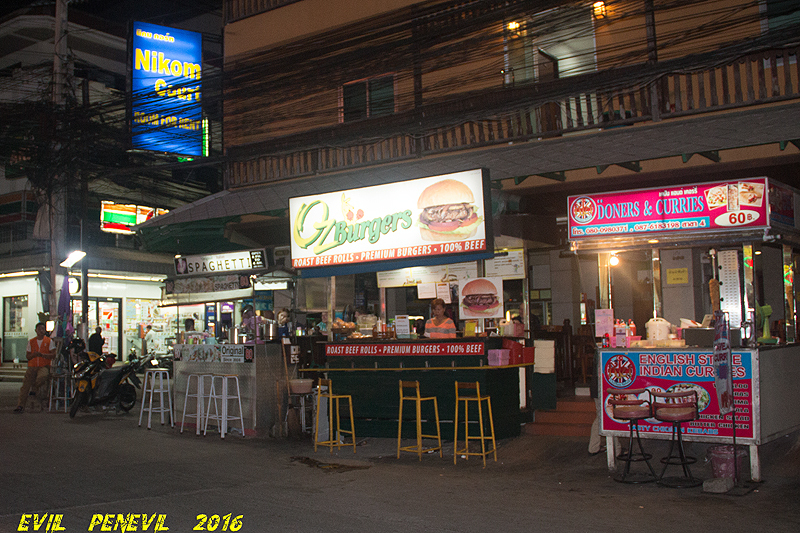 The most problem I've had personally has come from the lady boys on Soi Bukhao, but again, no huge problem and it wouldn't deter me from visiting a restaurant in the area, although I usually cross the street to avoid the LBs. One good thing about this thread is that posters can leave very short comments about restaurants where they've had or heard about good Western food under 300 baht. It doesn't have to be a full-out review. First time i've read this thread and what a great idea. Pretty sure My Way on the arcade behind Soi Diana do a brilliant pepper steak for less or just a little over 300 baht. Yes, My Way is a good suggestion. Plenty of excellent food there for 300 baht or less. We have a thread on My Way in this section. 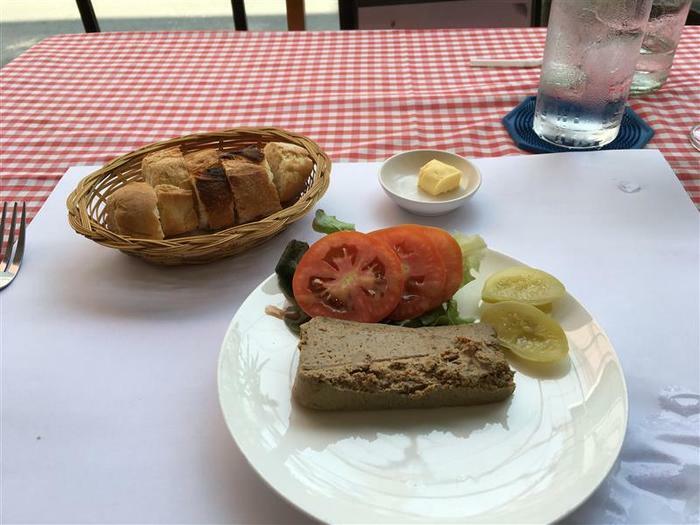 I tried the Tuesday special special at Nicky's near the intersection of Soi Bukhao and Soi 15. The facade of the building had been redone. 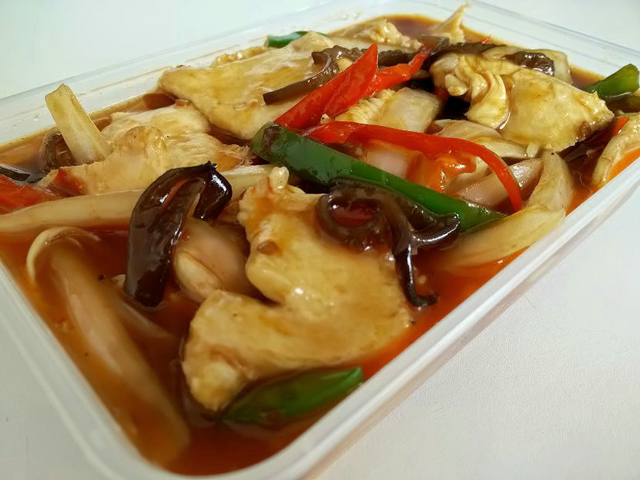 The 175-baht special was chicken casserole, which resembles a stew but has been cooked slowly in the oven rather than on top of the stove. The casserole was advertised as coming with a crusty rolls, but I guess they had run out of rolls by the time I ordered my meal at 9.30 pm and I got two slices of buttered bread. It was excellent bread, fresh and with a home-baked taste. The portion was very large, more than enough for me. The casserole consisted of chunks and pieces of chicken, potato, carrots and celery in a delicious thick sauce. Nicky's offers a different special every day Monday through Saturday at 175 baht as well as a week-long two-course special at 300 baht. Bottom line: The chicken casserole was a very filling meal for 175 baht and I wouldn't hesitate to order it again. I don't see how they can do it that cheap.??? For the casserole cheapish ingredients and make a big batch, low cost per plate. I think for 3 pounds 50 its great. Not my cup of tea but agreed good value. I wanted to try the relocated Sizzler on the Beach Road side of Royal Garden Plaza. Our initial plan had been to eat lunch there and take advantage of the pre-4 pm specials for less than 300 baht, but we were delayed until 5.30 pm, so we had to order from the regular menu. It's a very spacious restaurant that had only a few customers at that hour. The signature salad bar was still in good shape, with the 60-some bowls, trays and containers all full and fresh. I decided to see if I could remain under 300 baht for a main course - and I could, at 299 baht. There were even a couple of main dishes around 250 baht, but they were all chicken. Forget beef, pork, fish or seafood if you want to spend less than 300 baht. And a bowl of very tasty hot and sour soup. My plate of salad (cole slaw; minted carrots and almond; pumpkin and cashews; Asian potato salad) and the Sizzler toast that comes with some mains. It was all very good. I ordered the hibachi chicken with pineapple and rice for 299 baht. It was a rather small portion in and of itself, but considering unlimited helpings at the salad bar, which features soup, pasta, fruit and desserts as well as "make-it-yourself" salad ingredients and prepared salads, you won't leave Sizzler hungry. In any case, we ordered two more mains and split them, so it was indeed a filling and varied meal. and the sizzling shrimp, both of which were delicious. Bottom line: We had an excellent meal at Sizzler, but if you want to stay under 300 baht, get there before 4 pm unless you're fond of chicken. what is a "Source Coyote"? "My Source Coyote" is a 10-day agency coyote dancer (WhatsUp, Sapphire and Sensations) with whom I've, shall we say, been "associated" on and off for 3 1/2 years. I've spent hundreds of hours talking with her and we very often share meals together. She is my source for a lot of info about the Pattaya bar scene and the functioning of agencies in particular. I wrote about her side of the story in this thread: Bottom Rail on Top 'Dis Time, Massa!